I had Tunnel Beach all to myself the evening I took this which makes taking photos so much easier. It’s become a really popular spot so to get it all to myself was really something. I timed my trip so the tide would be out which meant I had lots of options and choices as the sun made silhouettes out of the rocks and bounced light of the sand. Competition – ends this Friday. Entries close deadline from the Friday 8th February to Friday 15th February, 4:30pm, Friday 8th February (NZ time). In This Room The Light Flickers After A While. 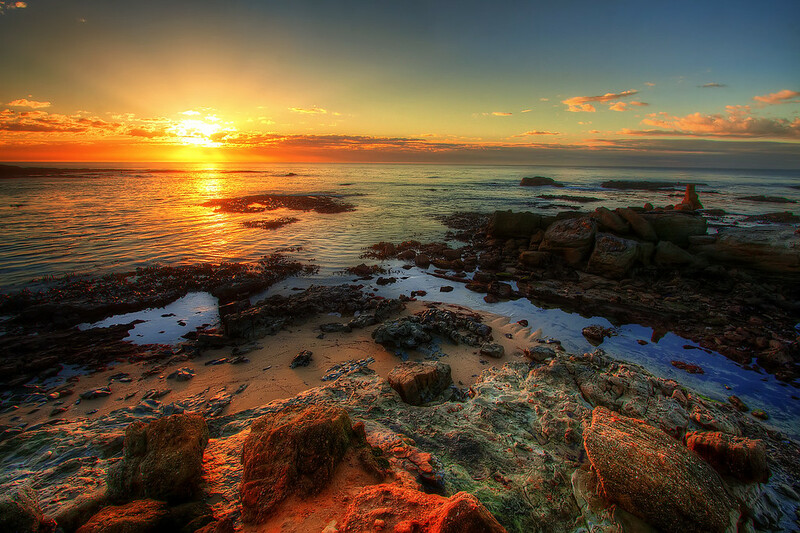 The Earth and The Sky Shout For Joy. 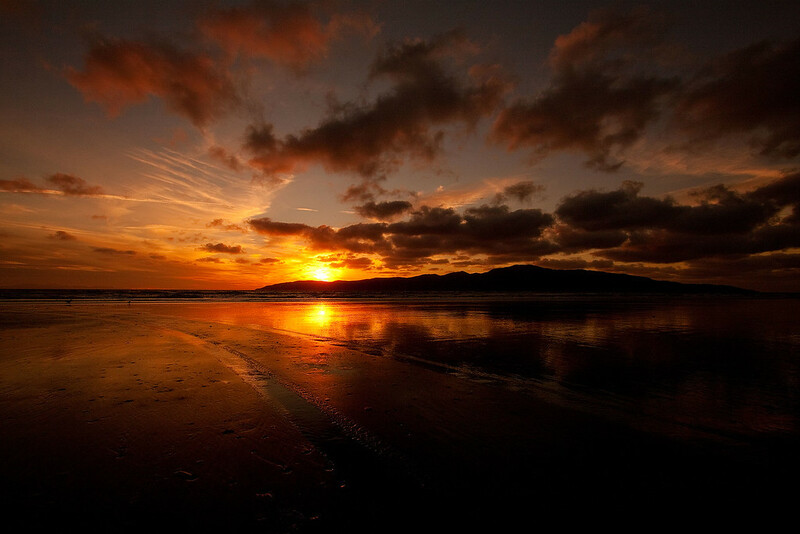 Paraparaumu Beach on the Kapiti Coast is an awesome place to get some wicked sunsets. 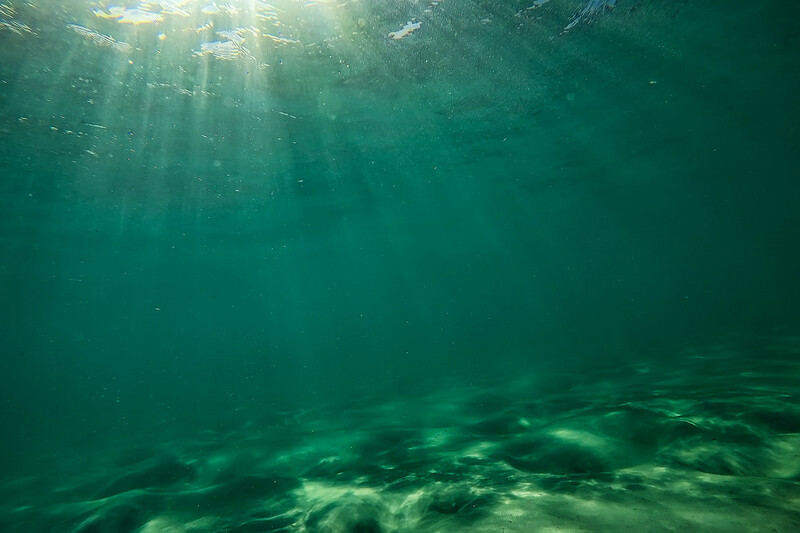 The fact that Kapiti Island is directly off shore means that there is a different element to play with in the composition if nothing is very interesting on the beach. However, don’t you love these tyre tracks! If photography isn’t your thing, it’s also a great walking beach and goes on for miles meaning you can have an evening stroll while watching the sunset and the sand between your toes. 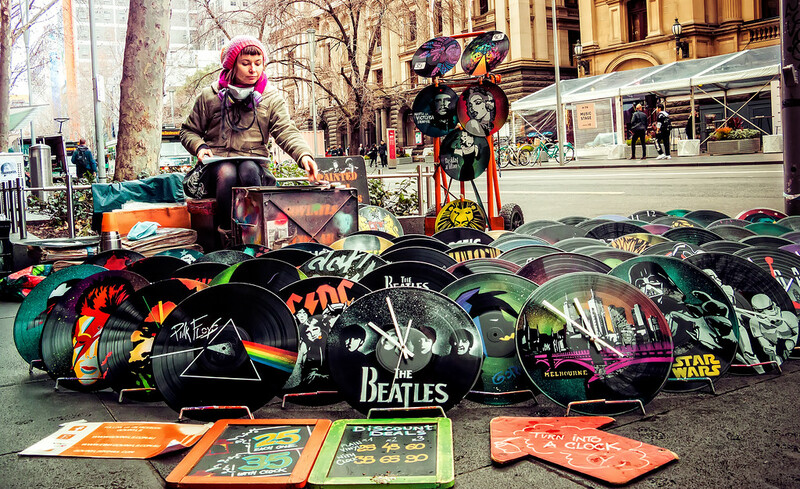 I came across this lady who does the most colourful designs with vinyl records. I watched and chatted to her for about 10 minutes as she created new designs. The cool thing was she was doing them right there on the spot so you could see it evolve right before your eyes. How neat is that! 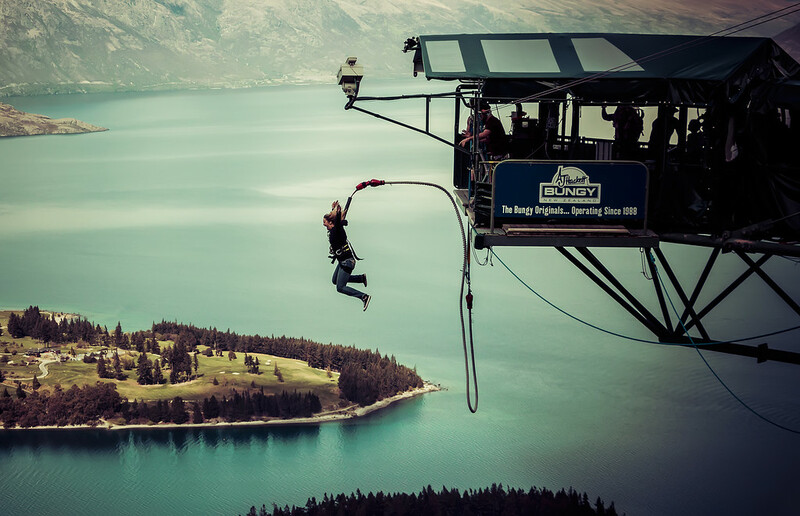 Yesterday I posted a photo taken from the Ledge Bungy in Queenstown. If you want a bit more encouragement to join the craziness, here’s their promo video. It’s hard to not want to have a go after watching this. 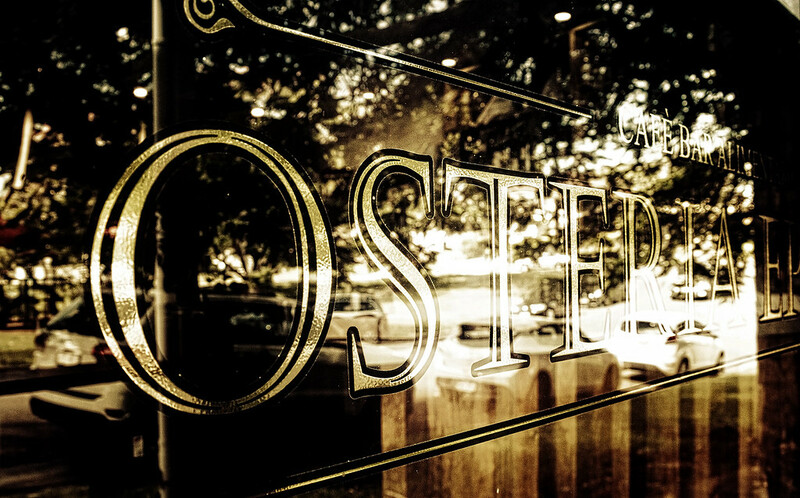 Osteria Epoca can be found on Orontes Road, Yeronga in Brisbane. They are an amazing Cafe, Bar & Restaurant that does serious good Italian food. When I was there they let me set my camera up to take a few shots, the one I like best is this one of the front window. It’s definitely worth visit if your in Brisbane or the area . Oh, and the Porchetta, Crab linguni or Gamberi come highly recommended. The entries are rolling in for my current competition however I decided to extend the deadline from the Friday 8th February to Friday 15th February. This gives an extra week to get your entries in. Bungy jumping is so much fun, I’ve done it twice. Once in Skippers Canyon and once off the Kawarau Bridge. When I jumped off the Kawarau bridge I went backwards which involved leaning back and being suspended there until they they let you go. It was actually rather comfortable until they said “bye” and let me go. I knew it was coming yet it was still a surprise! This photo was taken from the Skyline Bungy or Ledge Bungy located in Queenstown at the top of the Gondola at Bob’s Peak. Queenstown, the perfect place to fling yourself off perfectly good platforms. It sounds slightly crazy, but then AJ Hackett does crazy very well. Isn’t this floor just outstanding! 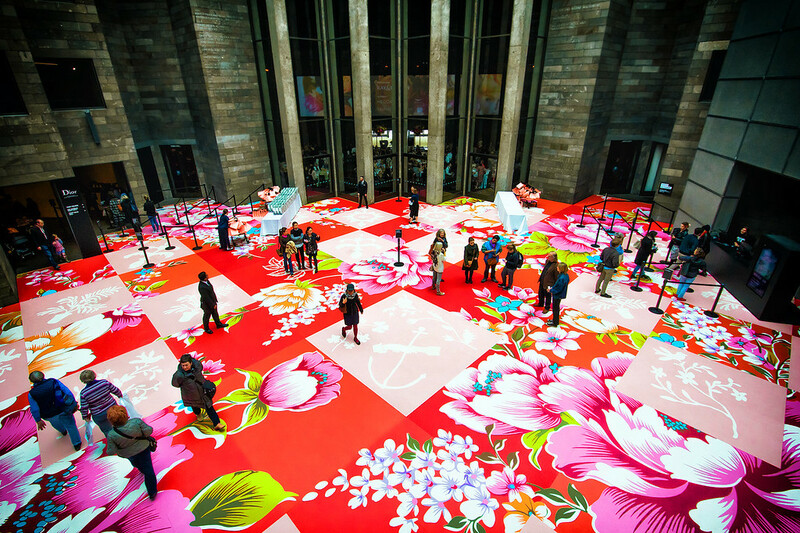 I find it hard to believe there would be a better floor anywhere in Melbourne. This is in the Victorian National Gallery in Melbourne. I was originally aiming to photograph the stain-glass ceiling they have there , but an event was on (held by Christian Dior I think) so I searched out the best possible vantage point to capture the floor instead. I ended up on the second floor, because the view from the second floor gave me the interplay between the brick walls and the coloured floor that I wanted. The conditions couldn’t have been better yesterday at the Green Island Rugby Club for the Spartan 10’s. I was there for a few hours in the morning for the end of the first session and games in the second session, in particular the clash between Harry’s Hero’s and The Spartan’s. My apologies if I didn’t manage to capture your team during the time I was there. Please visit https://givealittle.co.nz/fundraiser/help-harry-to-walk-one-day to read about Harry’s story and donate to this great cause. See the full gallery with options to purchase here. All proceeds from image sales go towards the “Hitting for Harry’ fund. More images will be added to this gallery on Sunday afternoon.